All of us like to live like the rich in big homes with lots of rooms, bathrooms and patios. 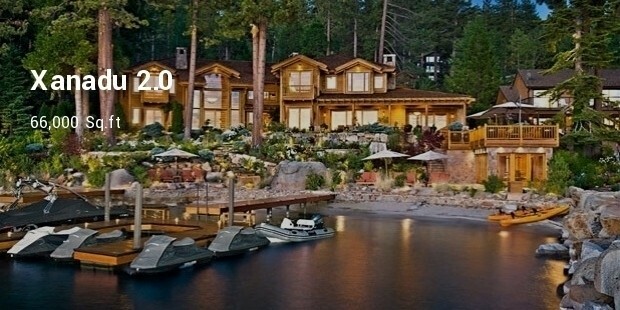 The tycoons, businessman and celebrities own some of the houses listed below. Just check out their excellent features. It would suit only kings and princes. Palace of the Sultan of Brunei, it is a palatial house indeed. 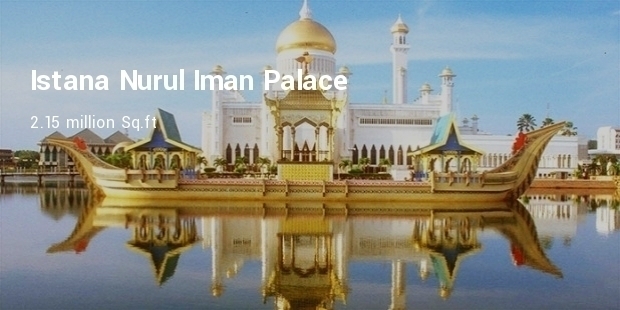 It is located near the river Brunei and is located near Bander Seri Begawan. There are 1,788 bedrooms all this includes a mosque, an auditorium that can accommodate 5,000 guests and 257 bathrooms. 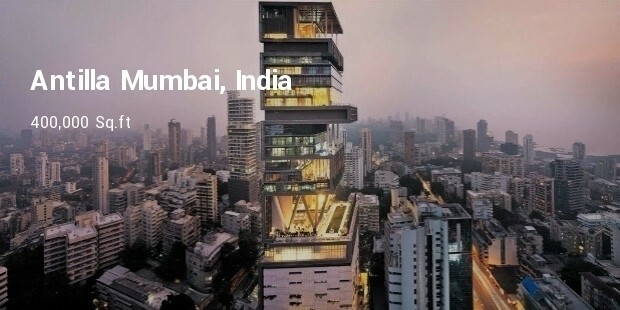 Antilla is the residence of Mukesh Ambani, a business magnet of India. Some of the interesting features of the house are 27 floors with extra height ceiling and it can withstand earthquakes. However, many of Indians despise seeing Antilla, as it is a display wealth and an apathy to the poor of India. 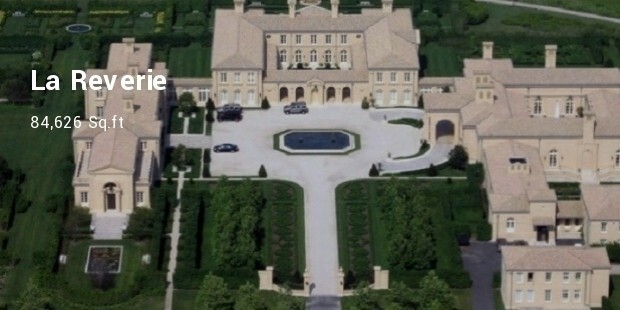 Billionaire Ira Rennert owns this expensive home. Located in Sagaponack in New York, this home houses 29 bedrooms, 39 bathrooms, 3 swimming pools, 2 tennis courts, a bowling alley and its own power plant. 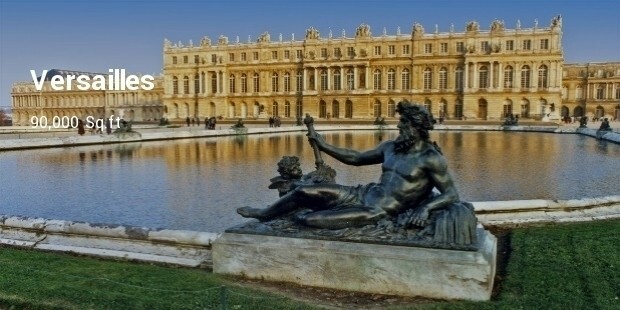 Aiming to become a Palace in Florida, this single family home is called Versailles similar to the Palace of Versailles in France. The construction started in 2006 and was stopped midway due to recession. The construction is going to be completed by 2017. Home of millionaire Sydell Miller, this family home is used to host charity shows and concerts. The house is located in Florida, home to many rich of America. Pensmore is larger than White House. 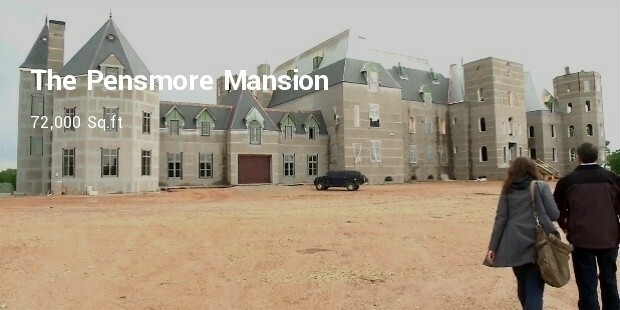 This mansion is located on a mountaintop and there are many conspiracy theories about the house telling that tunnels link the house to almost all the major cities of America. Owner of the house Steven T. Huff does not like to buy any of the conspiracy theories about the house. 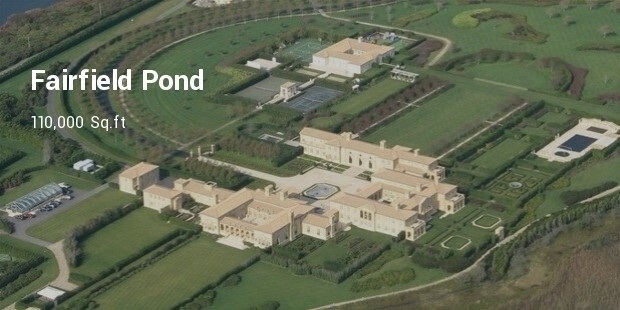 Xanadu 2.0 is the home of billionaire Bill Gates. The house has dome shaped roof, oculus, estate wide server system, heated driverways, heated floors, underwater music system and a private library. Guests will be surprised that they can wear pins that adjusts the heat, music and lighting according to their preference. 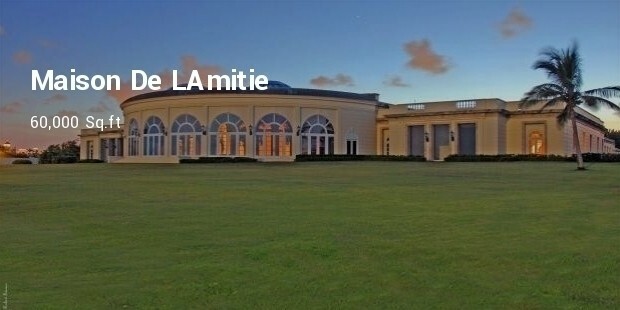 Located in Palm Beach, Florida, Maison de L’Amitie is the house of Donald Trump. Trump owned the property from 2004 to 2010. During this time the house boasted of having garage to house 50 cars, 20 bathrooms and 500 feet of ocean. Manor is located in Los Angeles, California. 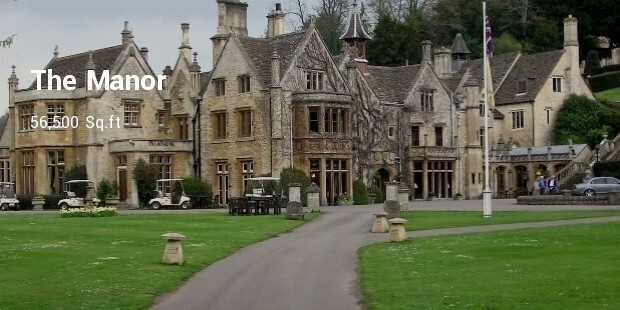 Built on 47 acres of land, the Manor has some excellent features like double staircase and seven bedrooms. One of the bedrooms was used by Prince Charles when he visited Los Angeles. This beautiful mansion is found in Aspen, Colorado. It has 95 acres of land, 15 bedrooms, 27 bathrooms, sculpture gardens, fishing pools, reflection pools, car wash, mechanic shop, gas pumps, horse stable, racquetball court, tennis court, cross country skiing and many more. Located in Surrey England, this house is a Californian type residence. It houses private woodland and landscaped gardens. There are about 103 rooms in this mansion. With 57 rooms and 17 bedrooms, this castle is one of the most expensive in the world. 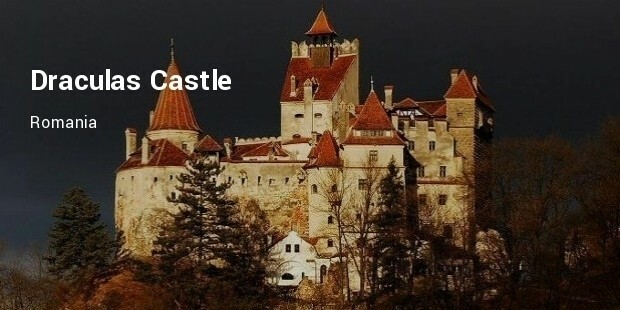 Located in Bran, Romania, this castle was converted into a museum. It has many antique furniture which are showcased. All the homes provide luxury that only the rich can afford. 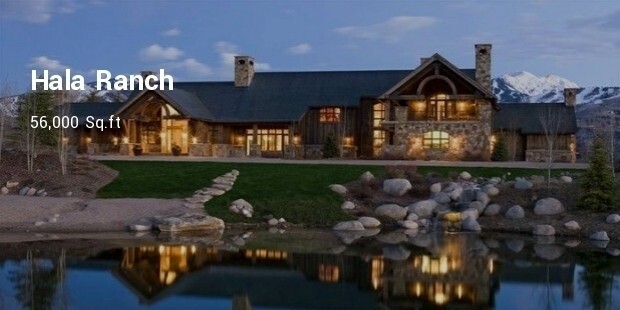 We can however dream of owning such a home.